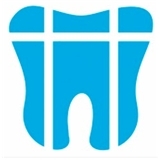 Wynatte Chu, DDS (New York) - Book Appointment Online! At our dental offices, we strive to make every visit a positive experience. Dr. Chu is committed to creating life-long, healthy and brilliant smiles. Treatment plans are customized to not only address the patient's smile and dental needs, but also desires. Skilled and trained in a wide variety of dental techniques from simple preventative measures to more complex full- mouth reconstructions, Dr. Chu can make sparkling smiles a reality. Using the latest dental technology, our patients are confident that they are receiving the highest standard of care to achieve their goals.